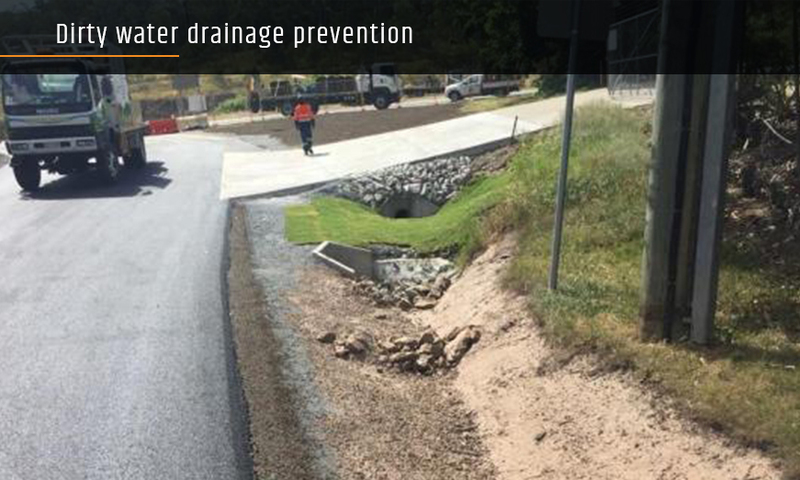 The local council was seeking a way to prevent dirty water from escaping a temporary drain at a site in Brisbane, Queensland. We applied our spray-on erosion control product, GeoSpray, at a rate of 3kg to the m2 to prevent water seeping through the drain lining. The GeoSpray membrane is still intact and performing well six months later. More than 300mm of rain has fallen during this period, including several tropical storms.